Pictured in GMIT at the ‘the Spirit of Entrepreneurship Week’ which was organised by the Innovation Hubs Castlebar, John Hughes Castlebar credit Union making a presentation to Johnathan Connolly winner of the best tweet , l-r; Johnathan Connolly, John Hughes, Breda Connolly and John McGuire CEO & Founder, Active Mind Technology. Photo © Ken Wright Photography 2015. Pictured in GMIT at the ‘the Spirit of Entrepreneurship Week’ which was organised by the Innovation Hubs Castlebar, front l-r; John McGuire CEO & Founder, Active Mind Technology, Liam Horan , from Want 2 Be, runner up, Christine McAndrew ‘ Mariko’ sparkling green tea, winner , Louise Gibbons from Inspired Network, runner up and Colm Lyons CEO & Founder, Fire Financial Services Ltd. Back l-r; Orlagh Nolan, HBAN West x North West , Karen Coleman MC for the evening , Maria Staunton, Manager of the Innovation Hubs , Sarah Nic Lochlainn , Aruna Sauces and Mark Ganley, Contego Sports, Photo © Ken Wright Photography 2015. Pictured in GMIT at the ‘the Spirit of Entrepreneurship Week’ which was organised by the Innovation Hubs Castlebar, the judging panel l-r; Karen Coleman MC for the evening, Pat Walsh, PanelDuct, Mark Ganley, Contego Sports, Orlagh Nolan, HBAN West x North West and Sarah Nic Lochlainn , Aruna Sauces. Photo © Ken Wright Photography 2015. Pictured in GMIT at the ‘the Spirit of Entrepreneurship Week’ which was organised by the Innovation Hubs Castlebar, Karen Buckley, Planet Podium, MC for the evening . Photo © Ken Wright Photography 2015. Pictured in GMIT Castlebar Campus at the ‘the Spirit of Entrepreneurship Week’ which was organised by the Innovation Hubs Castlebar, Brian Moran, AIB making a presentation of a cheque for €500 to Margaret Keane and Stephanie O’Malley from ‘Educating Desty’ (Discovering Exceptional Strengths and Talents in You), winners of the best stand. Photo © Ken Wright Photography 2015. 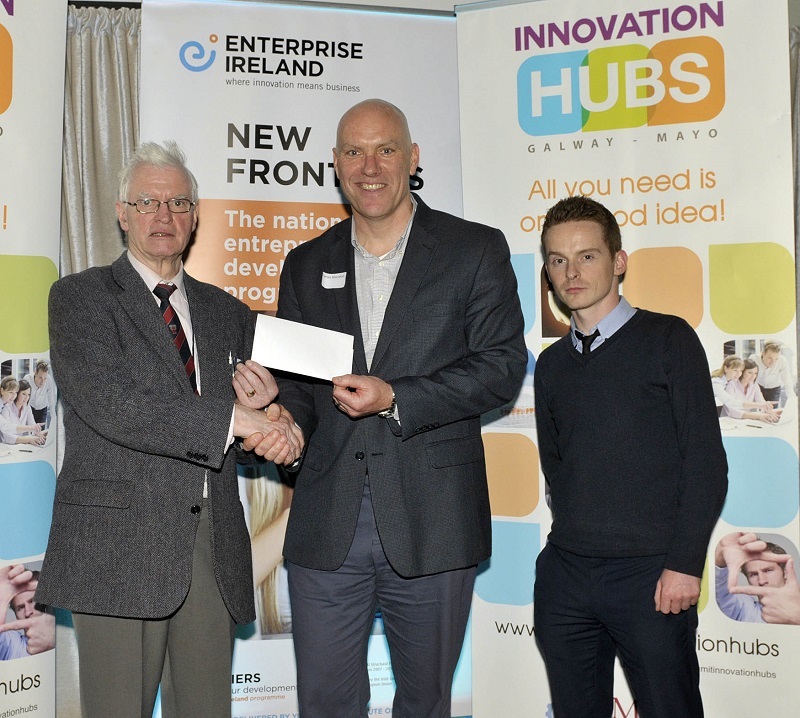 Pictured in GMIT at the ‘the Spirit of Entrepreneurship Week’ which was organised by the Innovation Hubs Castlebar, Michael Gormley, Westport Credit Union and Mark Gannon Westport Credit Union making a presentation to Ciaran Sheridan winner of the best question. Photo © Ken Wright Photography 2015. 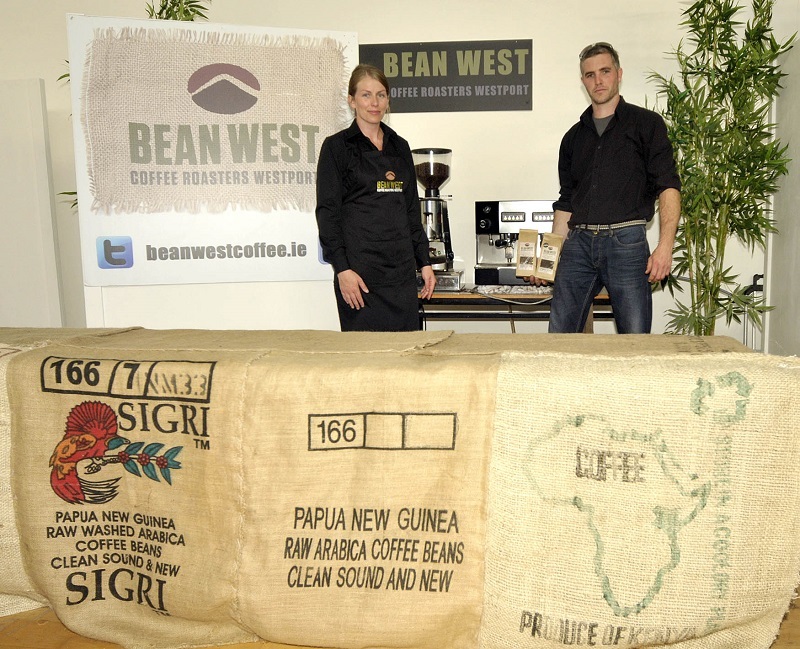 Pictured in GMIT at the ‘the Spirit of Entrepreneurship Week’ which was organised by the Innovation Hubs Castlebar, Catriona Noonan and Aaron Page from Bean West Coffee Roasters Westport, who provided light refreshments . Photo © Ken Wright Photography 2015. 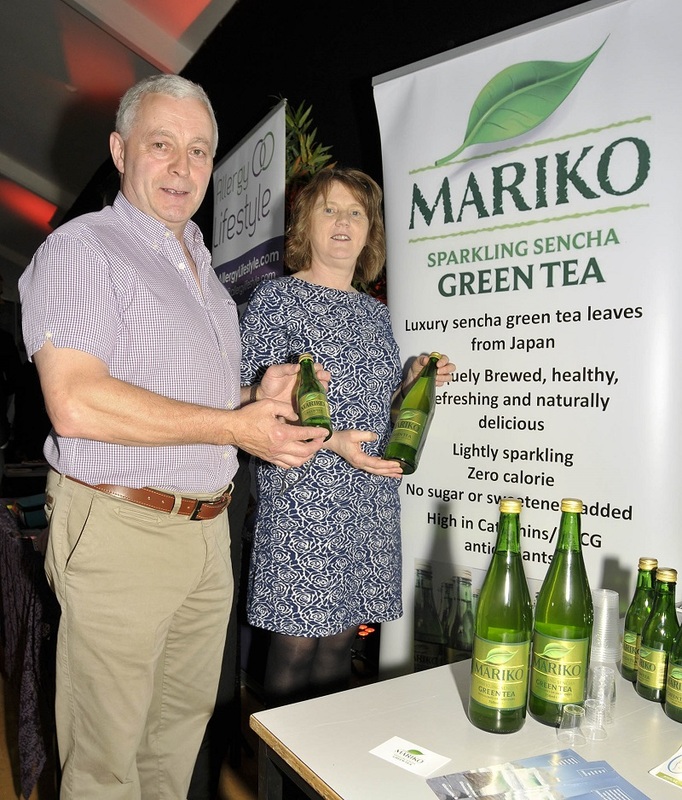 Pictured in GMIT at the ‘the Spirit of Entrepreneurship Week’ which was organised by the Innovation Hubs Castlebar, PJ Gillard and Christine McAndrew , Directors of ‘ Mariko’ sparkling green tea, which is based in Belmullet County Mayo. Photo © Ken Wright Photography 2015. 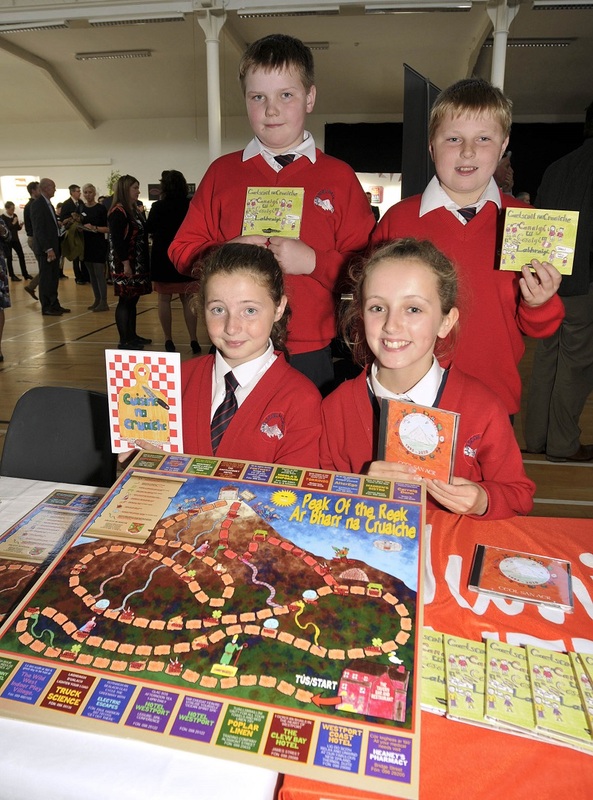 Pictured in GMIT at the ‘the Spirit of Entrepreneurship Week’ which was organised by the Innovation Hubs Castlebar, , front Grace Rooney and Eliza O’Reilly, back Glen Keegan and Ross Harman from Gael Scoil Na Cruaiche, junior entrepreneurs who were promoting previous years products. Photo © Ken Wright Photography 2015. 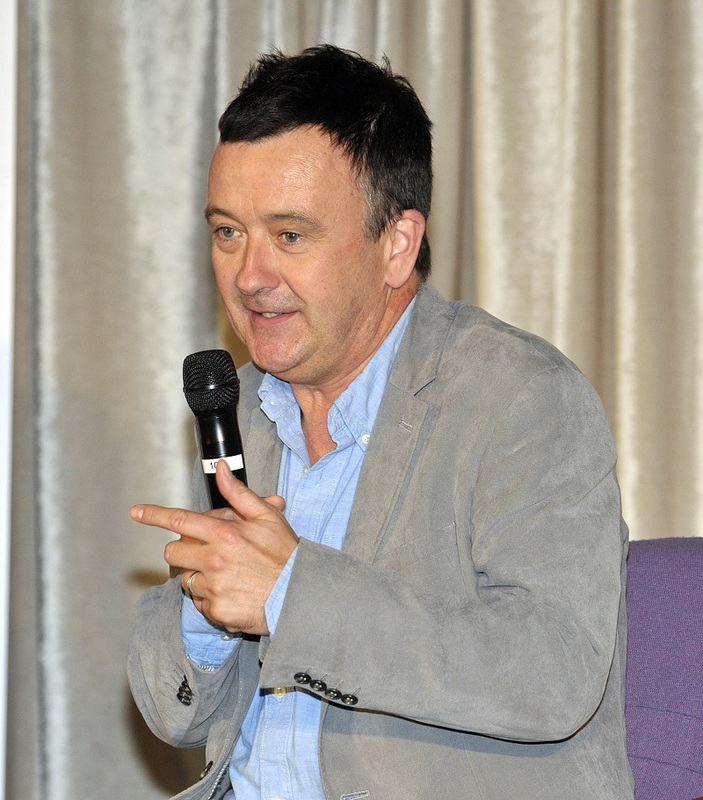 Pictured in GMIT at the ‘the Spirit of Entrepreneurship Week’ which was organised by the Innovation Hubs Castlebar, John McGuire CEO & Founder, Active Mind Technology addressing the large audience . Photo © Ken Wright Photography 2015. Pictured in GMIT at the ‘the Spirit of Entrepreneurship Week’ which was organised by the Innovation Hubs Castlebar, part of the large audience who attended the event . Photo © Ken Wright Photography 2015. 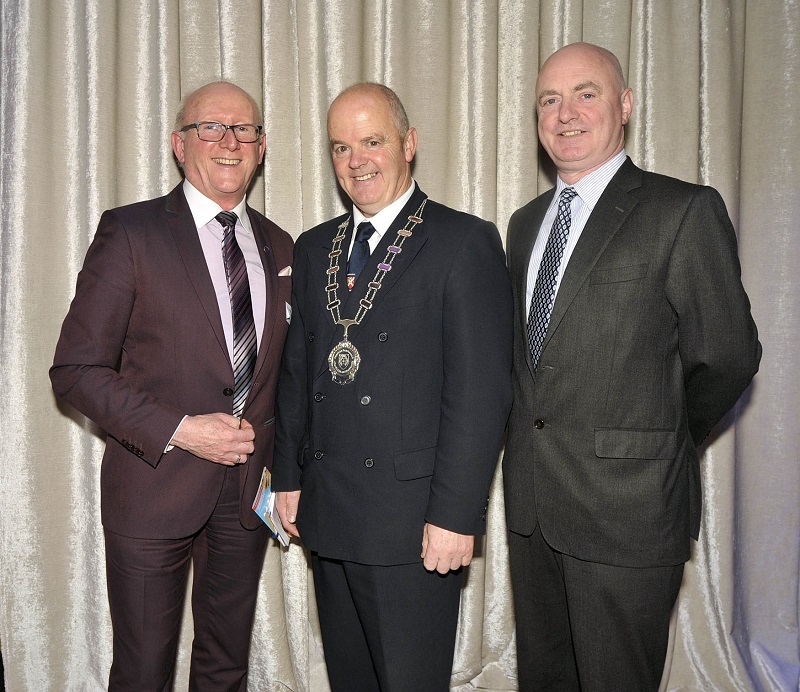 Pictured in GMIT at the ‘the Spirit of Entrepreneurship Week’ which was organised by the Innovation Hubs Castlebar, l-r; Dermot Langan, Tourism Officer Westport Tidy Towns, Councillor Blackie Gavin, Cathaoirleach Castlebar Municipal District and Peter Hynes, Chief Executive Mayo County Council. Photo © Ken Wright Photography 2015. 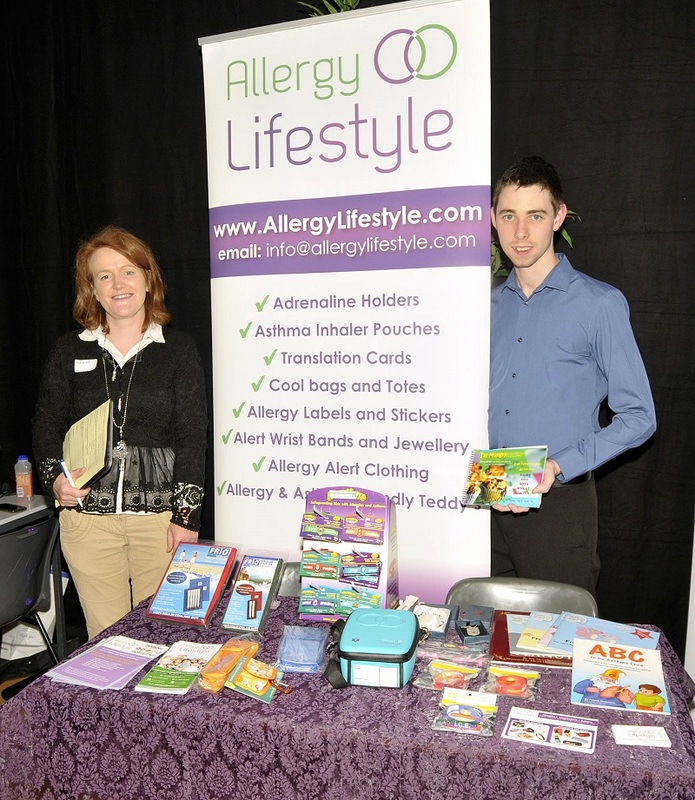 Pictured in GMIT at the ‘the Spirit of Entrepreneurship Week’ which was organised by the Innovation Hubs Castlebar, winner of the 2014 competition , Ann Walsh founder of Allergy Lifestyle and Shane Quigley, Business Development Executive. Photo © Ken Wright Photography 2015. 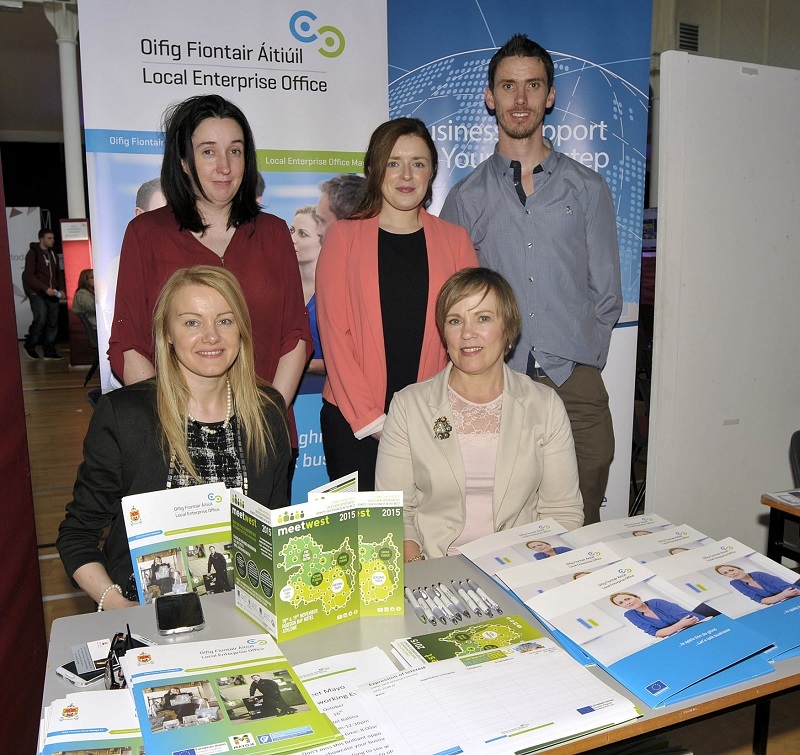 Pictured in GMIT at the ‘the Spirit of Entrepreneurship Week’ which was organised by the Innovation Hubs Castlebar, a group of staff from the local Enterprise office, who was one the sponsors for the event , front Pamela Conway and Mary Costello, back l-r; Paula Prendergast, Elaine Moyles and Enda Casey . Photo © Ken Wright Photography 2015. 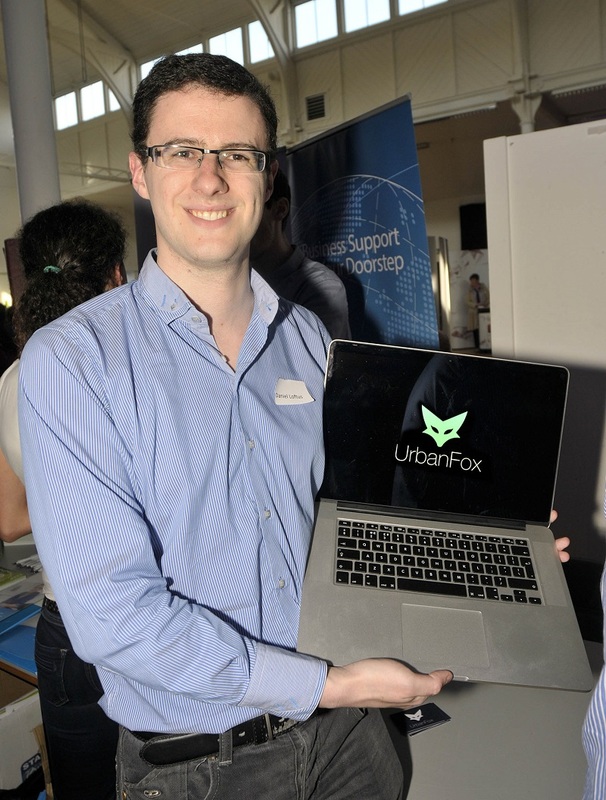 Pictured in GMIT at the ‘the Spirit of Entrepreneurship Week’ which was organised by the Innovation Hubs Castlebar, Daniel Loftus from Urban Fox, which uses cutting edge machine learning technology and big data to enable sales and marketing teams to better understand their customers requirements . Photo © Ken Wright Photography 2015. 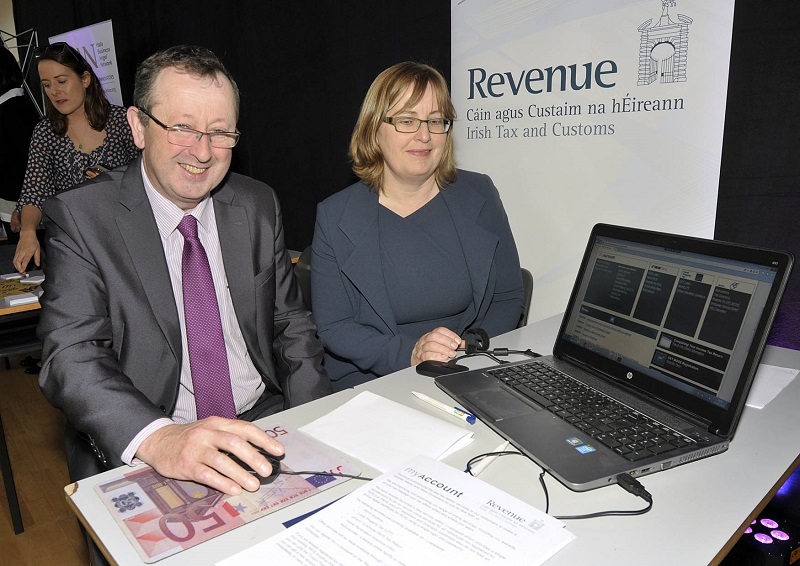 Pictured in GMIT at the ‘the Spirit of Entrepreneurship Week’ which was organised by the Innovation Hubs Castlebar, giving help and information from the Revenue Commissioners, Gerry Greene and Mary Coffee. Photo © Ken Wright Photography 2015. 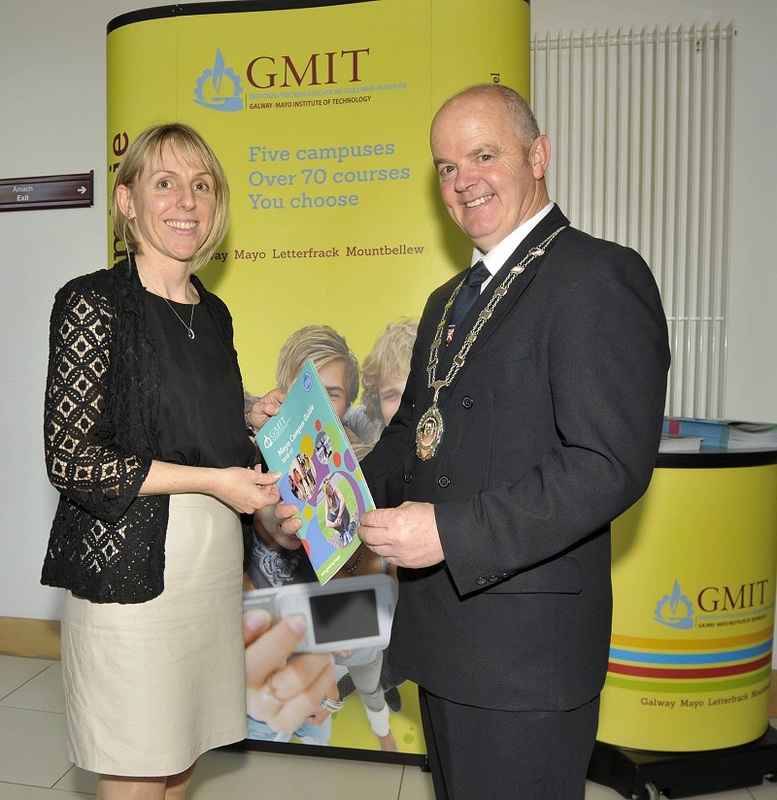 Pictured in GMIT at the ‘the Spirit of Entrepreneurship Week’ which was organised by the Innovation Hubs Castlebar, Maria Staunton, Manager of the Innovation in Business Centre (IiBC) welcoming Blackie Gavin Cathaoirleach Castlebar Municipal District to the event . Photo © Ken Wright Photography 2015. 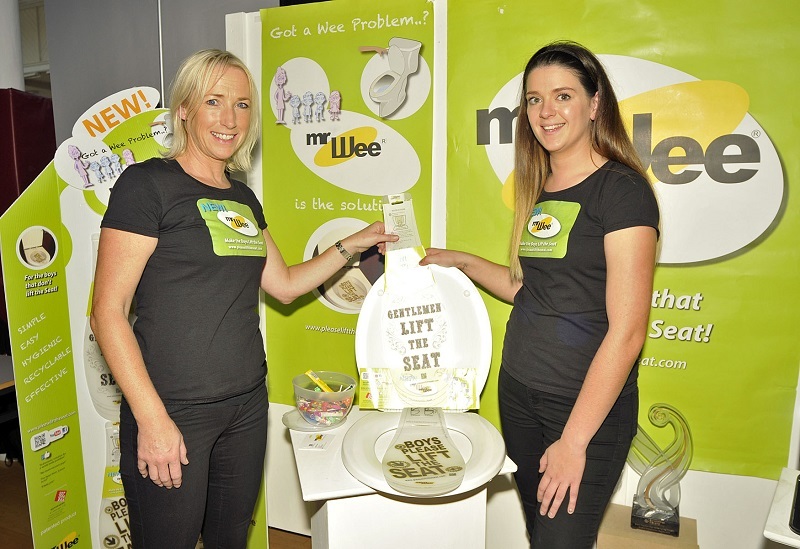 Pictured in GMIT at the ‘the Spirit of Entrepreneurship Week’ which was organised by the Innovation Hubs Castlebar, Lorraine Sotoparra and Laura Williams exhibiting their product ‘Mr Wee’. Photo © Ken Wright Photography 2015. 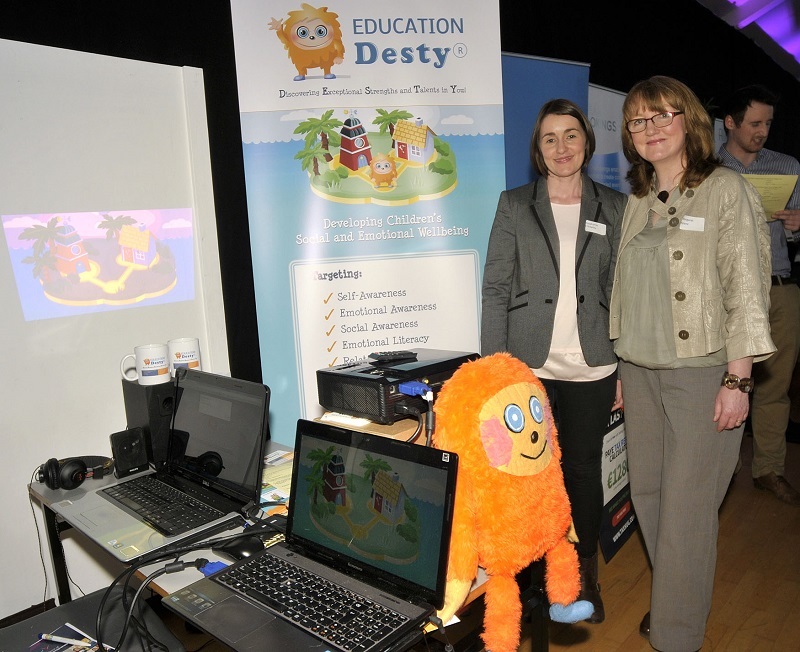 Pictured in GMIT Castlebar Campus at the ‘the Spirit of Entrepreneurship Week’ which was organised by the Innovation Hubs Castlebar, Stephanie O’Malley and Margaret Keane demonstrating their pitch ‘Educating Desty’ (Discovering Exceptional Strengths and Talents in You). Photo © Ken Wright Photography 2015. 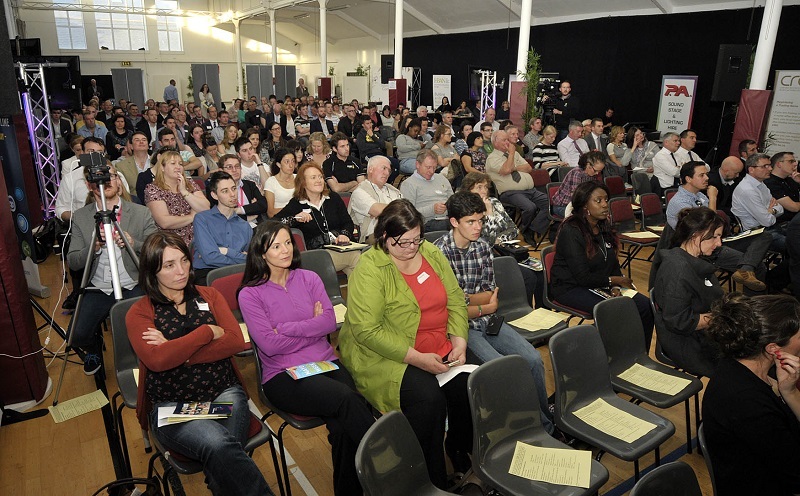 Several hundred people gathered in GMIT Mayo in Castlebar on Tuesday last (29 September) for the annual Innovation Hub ‘Spirit of Entrepreneurship' event. iHub client Christine McAndrew, founder of Mariko Green Tea, was the overall winner of the PitchComp, receiving €1,000 and €500 euro worth of mentoring from Westbic. 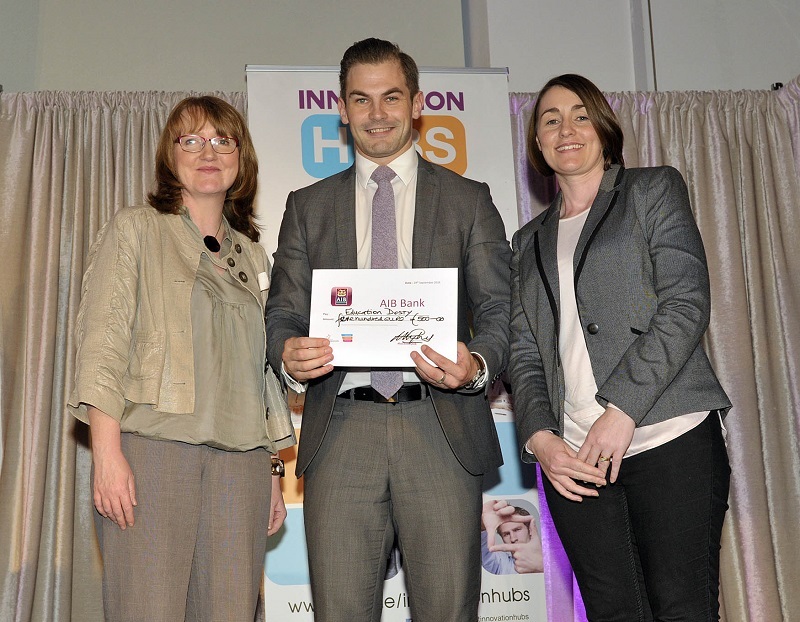 The two runners-up were iHub clients Liam Horan of Want2Be and Louise Gibbons of The Inspired Network. 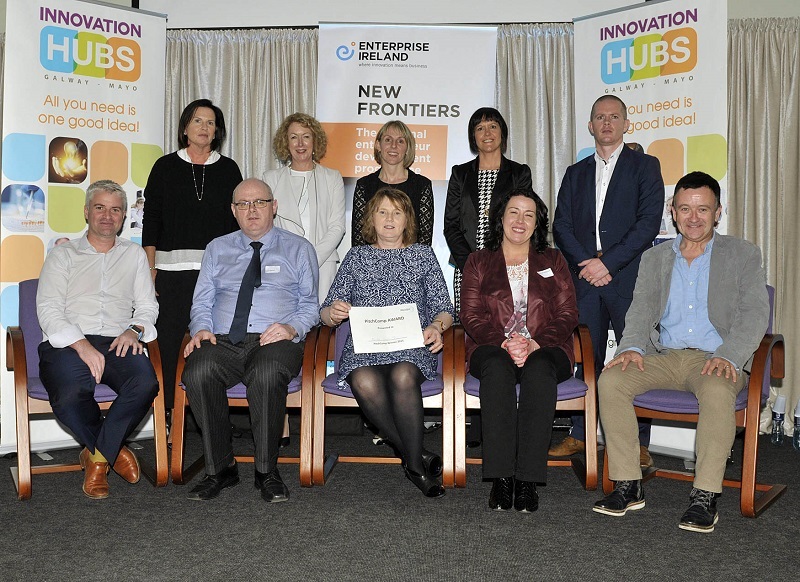 All three start-up companies are on the Enterprise Ireland-funded New Frontiers Programme delivered in GMIT's two Innovation Hubs. The theme of this year's event was ‘A Simple Idea Can Make A Great Business' and the first up to discuss ‘Starting and Building & Scaling a Business' were successful entrepreneurs Colm Lyons and John McGuire. Colm Lyon is founder and CEO of Fire Financial Services Ltd and founder and former CEO of Realex Payments, and John McGuire is founder of Active Mind Technology and creator of Game Golf. 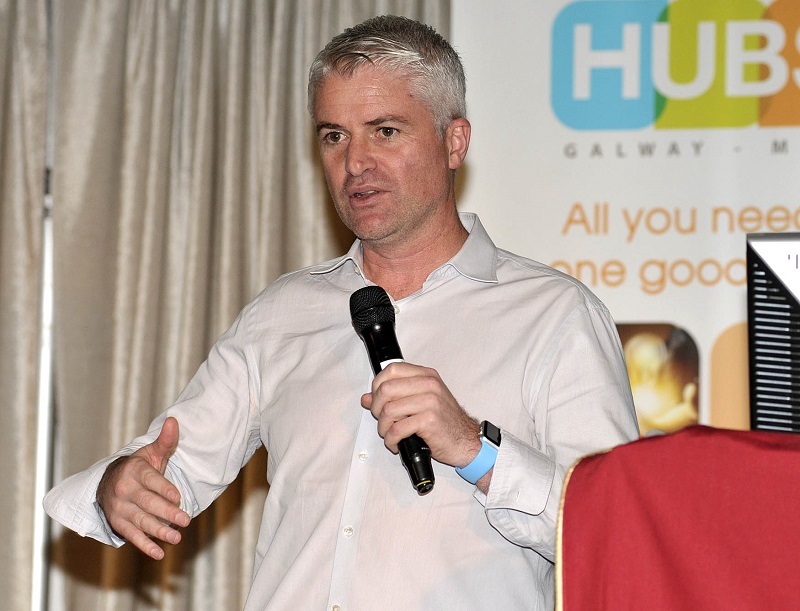 He was formerly based in GMIT's iHub at the Galway campus. Both men described the ways in which they started their business through seed funding and the opportunities and challenges they encountered on the way. 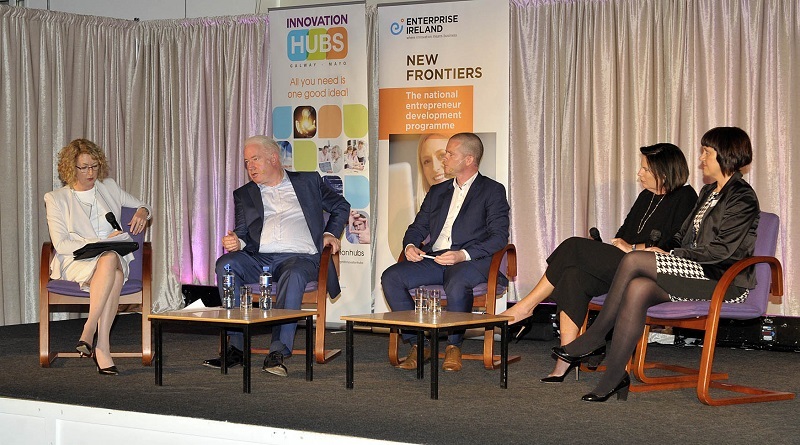 A panel discussion on ‘Innovation, Investment and Finance', hosted by journalist Karen Coleman got underway later in the evening with participants including Pat Walsh, MD of PanelDuct, (winner of Irish Times / Intertrade Ireland most innovative company 2015), Mark Ganly, Contego Sports, Orlagh Nolan from West x North West (WxNW) new Western Angel Investment Syndicate and Sarah Nic Lochlainn, serial entrepreneur, participant on RTE's Dragons' Den and founder of Aruna Sauces. All four panelists spoke about their experiences of growing and building a business and implementing innovation. The event also featured a showcase of client companies from GMIT's Innovation Hub such as the Medistori, Education Desty, Taxhug, Siscin, Ordu, Ordu, Allergy Lifestyle, Sli Nua Careers, Game Golf, Cloudstrong, Clearbookings, and many others on the evening. 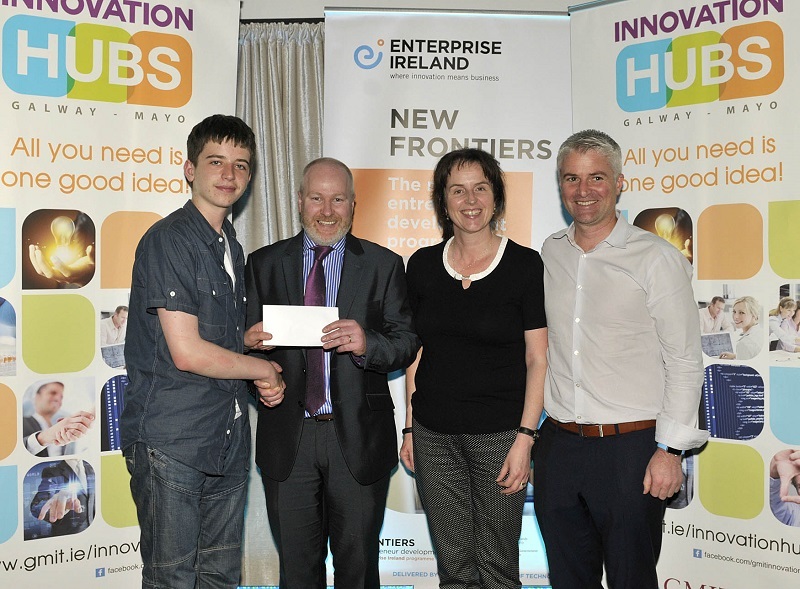 Education Desty were the overall winners receiving €500 from AIB and €500 worth of mentoring with the Junior Entrepreneur Programme (JEP) run by CMS Periphals also gaining a prize. There were prizes for the audience on the evening, kindly sponsored by the Castlebar and Westport Credit Unions, Irish TV and Café Rua. Maria Staunton, Manager of the GMIT Innovation Hub, says ‘the event is in its 9th year and growing each time to be bigger and better. It was great to have a former GMIT iHub client back to speak about his success and the growth of his business in Silicon Valley. Café Rua and Bean West Coffee added a new local food element to the event which people enjoyed. The mix of entrepreneurs with gender, ages and sectors worked very well and hopefully there was something there for everyone. The purpose of the event is to promote innovation and entrepreneurship in the western region and is free for everyone due to the kind sponsorship from local companies in particular Lionbridge." 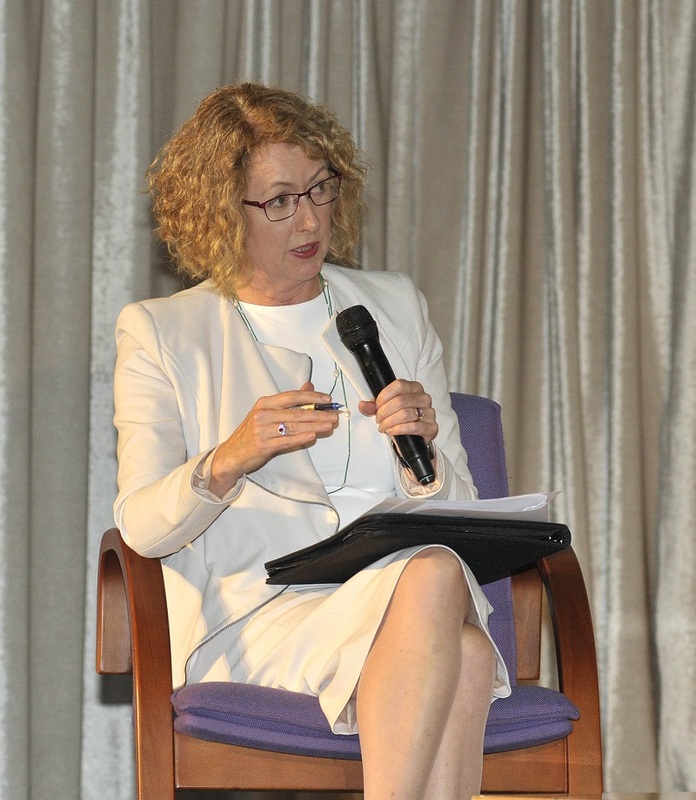 "Lionbridge were the main sponsors of the evening with lots of other sponsors on board such as Enterprise Ireland, Mayo LEO, Sheena Oosten Designs, Cashin Print, Clearbookings, Connaught Telegraph, AIB, Westbic, Café Rua, Irish TV and Castlebar and Westport Credit Unions."